I love my soaked oats or chia seed pudding for breakfast. Breakfast needs to include non dairy milk and oats/chia seeds. I just love starting my day out with that combo. 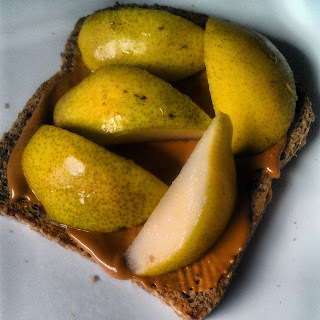 Actually, I love breakfast whatever it is....I've lately enjoyed sprouted grain toast with peanut butter and fruit. This week I also had toast with homemade hummus and 1/2 of an avocado. 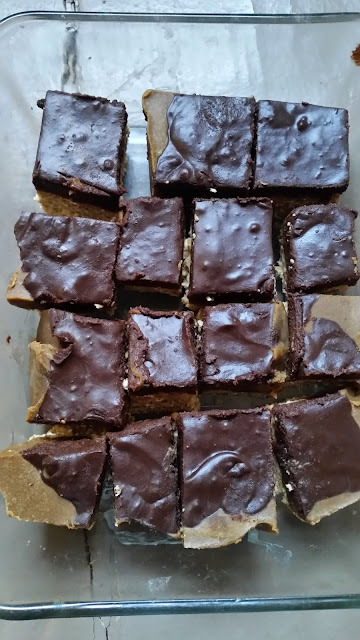 This post is a gallery of some of my fav breakfast recipes! 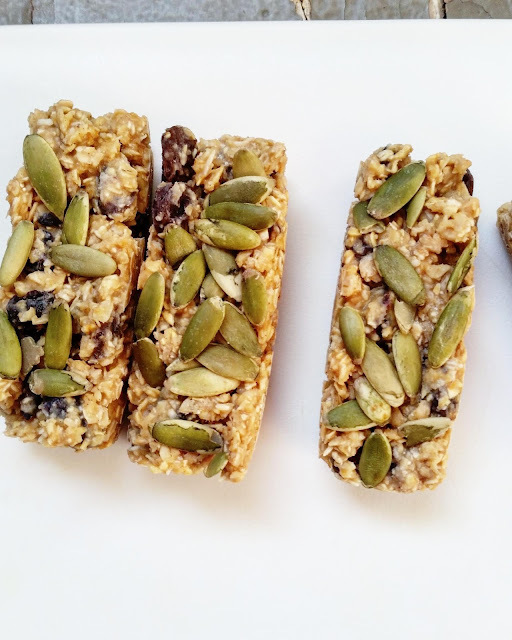 The first oat recipe is a past recipe in honor of throwback Thursday. 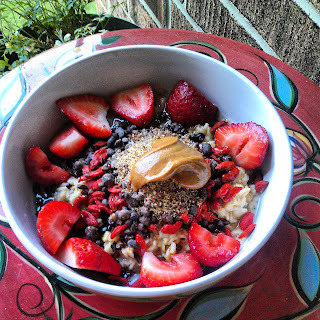 Superfood overnight oats 1/2 cup of rolled oats 1 cup of non dairy milk 1 cup of organic strawberries 1 oz of goji berries 1 oz of cacao nibs 2 tbsp of flaxseed meal 1 tbsp of peanut butter Soak the oats overnight in the milk and add the strawberries as well. Add the rest of the ingredients in before you eat the oats. This is so yum! 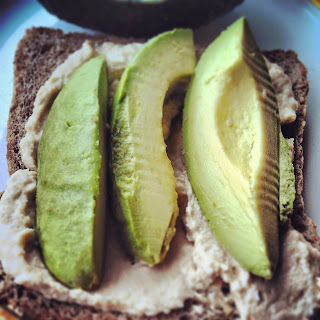 Sprouted grain bread, hummus, avocado Hummus: 1/2 can of chickpeas and 1/4 cup of tahini sauce in your food processor. Add 1 tbsp of olive oil and one clove of garlic. Mix well. Scoop 2 tbsp of hummus on your toast and top with 1/2 avocado. 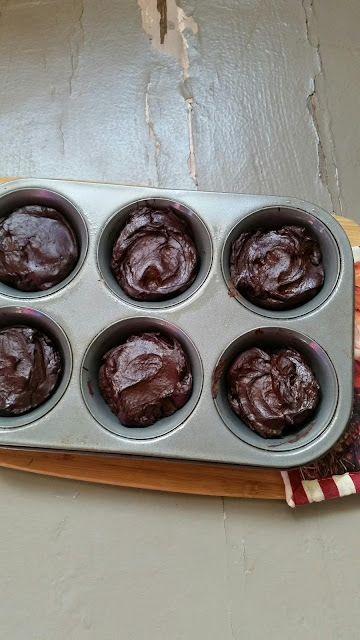 2-3 bananas that are not fully frozen. 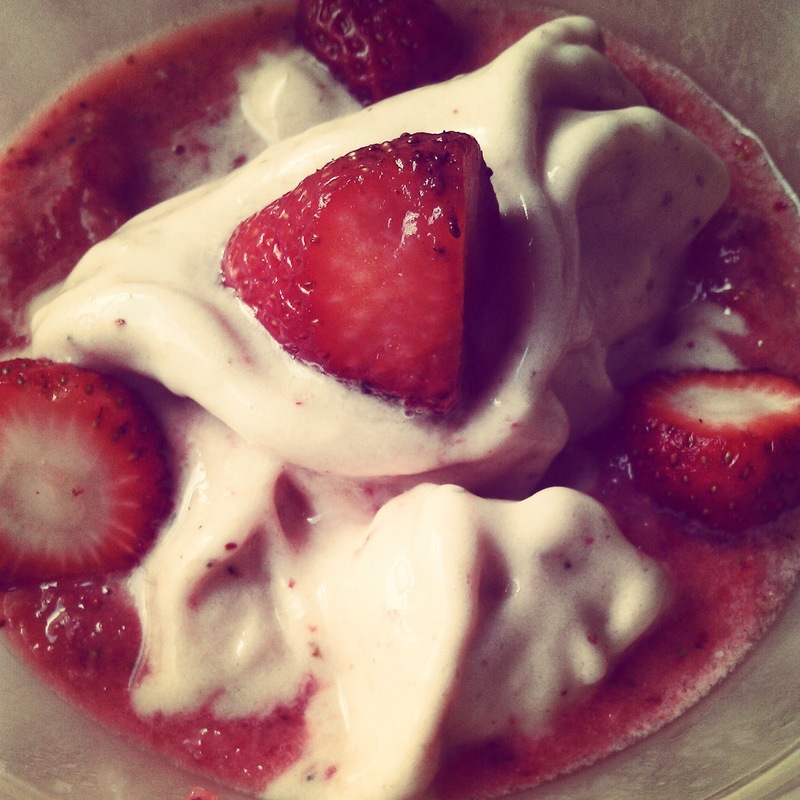 Blend them, add 1/2 cup of frozen strawberries and top with a few fresh or thawed strawberries. Yum! The food I'm cooking in the kitchen lately is for my new cookbook so I haven't revealed a lot of new recipes. I'm going to start amping up some new dinner recipes and of course continue with breakfast recipes! Comment if you have any recipes you want me to try :) I already have a tofu scramble recipe set for tomorrow!